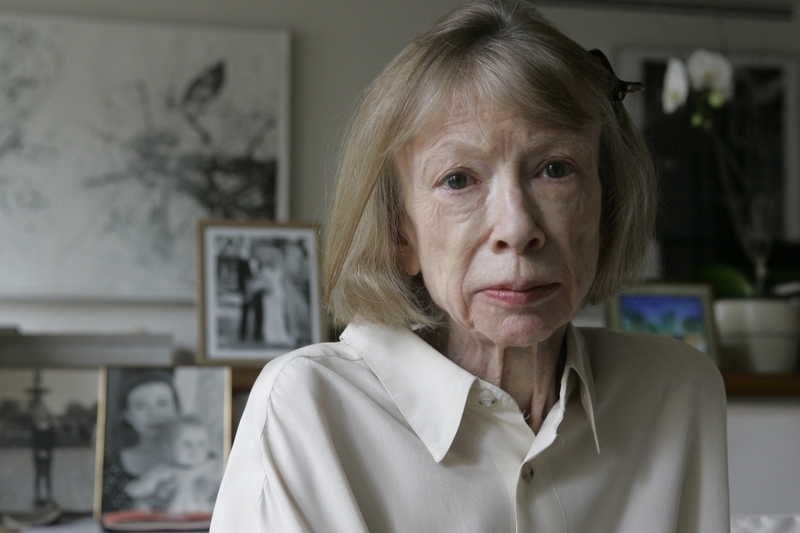 In Sorrowful 'Blue Nights' Didion Mourns Her Daughter "She was simply the center of my life," says Joan Didion, whose daughter, Quintana Roo Dunne, died at age 39. 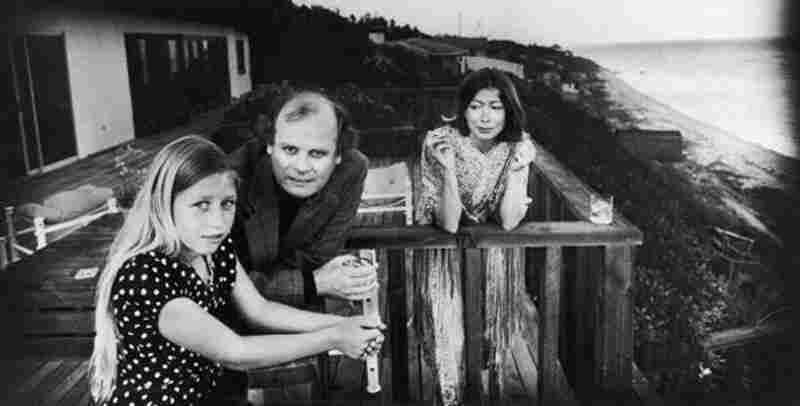 Her death came just two years after the death of Didion's husband, John Gregory Dunne. "We all survive more than we think we can," Didion tells NPR's Susan Stamberg. In The Year of Magical Thinking, Joan Didion addressed the death of her husband, John Gregory Dunne. The book was published in 2005, months after their daughter Quintana Roo Dunne — their only child — died at age 39. In her new book, Blue Nights, the 76-year-old author has pieced together literary snapshots, and retrieved memories about her daughter's life and death. Sitting behind Didion in her New York apartment are photographs of herself holding Quintana Roo, and a photograph from Quintana Roo's 2003 wedding. "It has not left my mind since it happened," Didion says haltingly. "I live with it, so naturally I can talk about it. ... I couldn't talk about it at first, but I can now." But clearly, talk does not come easily. Nor, she says, did the writing of Blue Nights. That's harder for Didion now — more groping for words, less polishing. Her prose, in the past, just gleamed — terse, elegant, understated and piercing. The new book is what's left, after loss. "We all survive more than we think we can," Didion says of living on after the deaths of her loved ones. "We imagine things — that we wouldn't be able to survive, but in fact, we do survive. ... We have no choice, so we do it." John Gregory Dunne died of a massive heart attack. Quintana Roo Dunne died of complications from a flu that turned into pneumonia — then septic shock, an induced coma, a brain bleed, five surgeries and months in intensive care. It was a medical and emotional nightmare. Most of Didion's books contain little mantras — quick phrases, repeated here and there throughout the text. In Blue Nights it's this: When we talk about mortality, we're talking about our children. She means the responsibility we feel for them. Our fear that harm will come to them — from a swimming pool, an elevator, a bottle of Drano under the sink — that we can't protect them well enough. For Didion, the apprehensions arrived gradually. Just after they adopted Quintana Roo (they'd seen the name on a map of Mexico, liked it, and chosen it) the writer says she acted as if she'd gotten a doll to dress up, not a real baby. "We had many dresses," Didion says. "We had 66 dresses that she got for christening presents. ... Everybody was clueless, everybody to do with this angel baby had no clue." It didn't take long for the realities of baby- and child-rearing to set in, and the brand new mother learned how to deal. Quintana "had no idea how much we needed her," Didion writes. "I needed her in the sense that she was ... simply the center of my life," Didion says. "I needed someone to take care of." Quintana Roo was an affectionate child — bright and funny. She posted a list of "Mom's Sayings" in their garage in Malibu. It included: "Brush your teeth," "Brush your hair" and "Shush, I'm working." Didion jokingly admits she was a nag who was "was totally wrapped up in keeping some time free for myself." 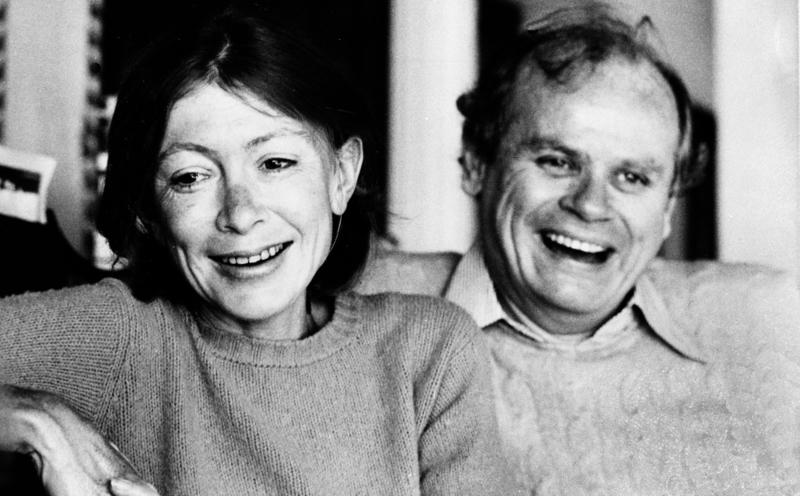 Joan Didion and John Gregory Dunne, pictured above in 1977, were married for nearly 40 years. Didion writes about his death in The Year of Magical Thinking. Didion writes that her daughter was a quicksilver child — her many moods shifted rapidly. Eventually there was a diagnosis of borderline personality disorder, but Didion neither understood nor accepted that label. Blue Nights begins in Manhattan on Quintana's wedding day: July 26, 2003. It was a happy day. Quintana wanted leis instead of bouquets, Didion recalls, because of the time she'd spent in Hawaii. "She wanted to wear her hair in a braid down her back. ... She had worn it that way as a child when we lived at the beach. She wanted to have cucumber and watercress sandwiches at her wedding. Everything about her wedding, in Quintana's mind, had to represent her past," her mother remembers. Didion looks at a painting of her daughter in her New York apartment. Memories, now, for Didion, are stored in boxes, drawers and closets. She has saved the tiny dresses her daughter wore when she was 4 and 5 years old — hanging in Quintana's closet is a black wool challis dress with a rose print that she bought at Bendel's. "I open that closet door all the time now," she says. 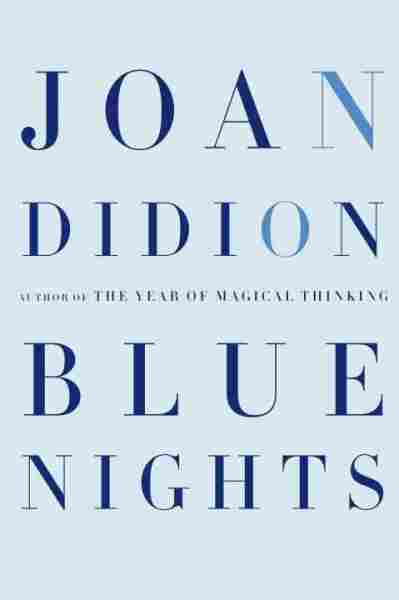 In Blue Nights, Didion writes that in theory, these mementos should bring back the moment, but in fact, they only make clear how inadequately she appreciated the moment back when it happened. People trying to be sympathetic will say, "Well, you have your memories" — and Didion says she never really knows how to respond to that. "Yes, I do," she says, as though the memories make it better. Talking about this, she laughs. It's hard — but good — to laugh. It's a way to get through harrowing times and unimaginable losses. And writing ... helps.